Employees are protected from retaliation by an employer if the retaliation results because the employee opposes illegal discrimination or files a discrimination claim. Employees can often prevail on a retaliation claim even if they lose the underlying discrimination claim. 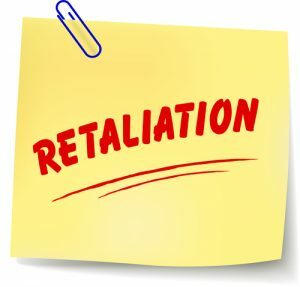 Employees have remedies for retaliation by employers even if the retaliatory event occurs after they are no longer employed. Denver Lawyer Lynn D. Feiger successfully argued the case that established this right for the first time in the Tenth Circuit Court of Appeals (see Berry v. Stevinson Chevrolet, 74 F.3d 980, 986 [10th Cir. 1996]). Colorado Civil Right Division (CCRD) within 180 days of the discriminatory act. For more information, see www.coloradoemployeerights.com, or for legal assistance, contact Denver Retaliation & Employment Lawyer Lynn D. Feiger or Justin Plaskov at www.lohfshaiman.com or 303-753-9000.